Use the AbscessCap to irrigate deep into wounds and abscesses with the unique nozzle of the AbscessCap. The rigid nozzle protrudes beyond the irrigation shield to make it easier to probe into a wound and reach difficult spaces. Deep irrigation will help clean the tissue by flushing out pockets and recesses to reduce the bioburden and to help promote healing. 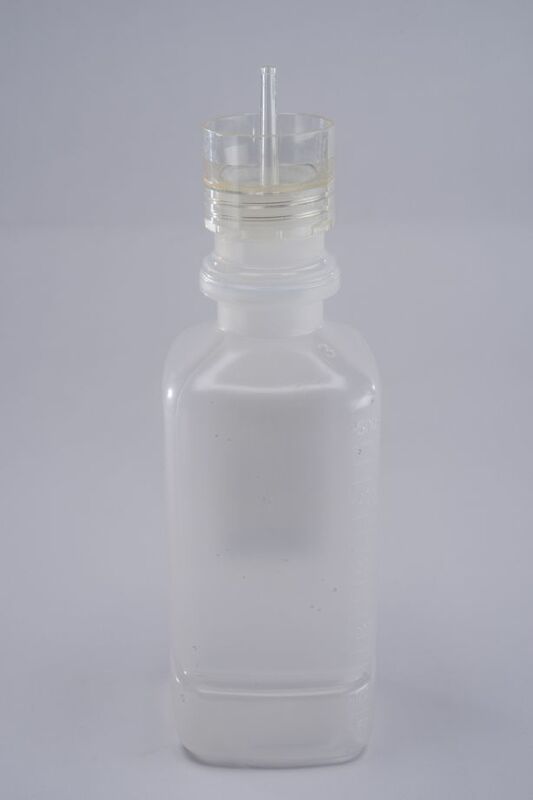 Like the SplashCap and EyeCap, the AbscessCap fits on any saline bottle. 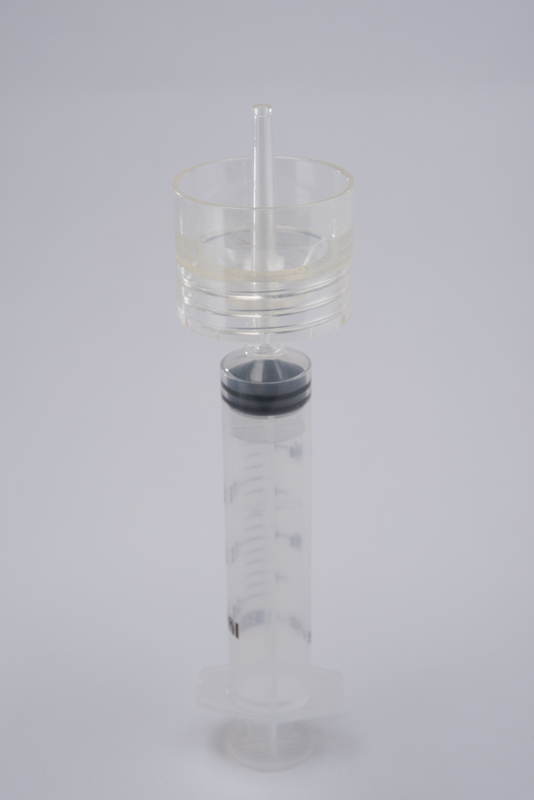 You can use the AbscessCap with a standard bottle or use it with luer tip syringe. Now it is easier to irrigate properly. The purpose of treating an abscess is to remove enough of the bacteria from within the lesion so that the body’s immune system can finish the job. If you are going to the trouble to incise and drain an abscess, doesn’t it make sense to clear out as much of the bacteria as possible? Making your incision gives you access, compressing the area pushes out debris. So it makes sense to finish the job by irrigating the recesses to remove as much of the bioburden as possible. Surface wounds are irrigated with copious fluids to remove invisible bacteria, so deep pockets of purulent infectious fluid should receive at least the same treatment. Reducing the bacteria load would seem to reduce the chances of treatment failures, the formation of microabscesses within small recesses, and the development of antibiotic resistance. Irrigating the top of the wound makes it look pretty, but doesn’t stir up the contents deep within. Inserting a short tipped device like a luer lock syringe washes the subcutaneous margins of the wound but does not get in far enough to clear out the deep pockets and recesses of thick purulent debris. When using a spoon to stir up a shake in a glass, if you only stir the top, you can’t blend in powder from the bottom. Likewise, if you don’t get a substantial amount of irrigation fluid deep into an abscess, you won’t be able to clear out the deep purulent debris. When irrigating an abscess you need to get deep into the lesion. 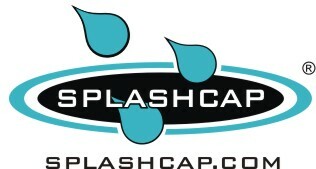 That is why the AbscessCap is designed with a long nozzle that protrudes beyond the shield. The rigid nozzle allows you to push below the surface tissue of the the incision, deep into the anesthetized wound, to allow you flush out debris from the bottom up. More effective dilution of purulent debris should reduce the bacterial load that could lead to a) the formation of microabscesses within small recesses, b) treatment failures and c) the development of antibiotic resistance with the use of multiple antibotics over a prolonged period of time. Reducing complications, treatment failures and return rates leads to better patient care and better reimbursements. Irrigate the abscess to remove as much of the bioburden as possible by dilution. Irrigate until the fluid is clear. Doing It Right, With Deep Irrigation. The AbscessCap is designed with a long nozzle that protrudes beyond the shield. The rigid nozzle allows you to push though the incision and deep into the anesthetized wound. Deliver copious irrigation fluid deep into the wound to flush out contaminants from the bottom up. The built in shield prevents backsplash. It also helps with visual monitoring of the irrigation process. It depends on how hard you squeeze. However, Low Pressure is Best. Why? When irrigating an abscess, the fluid is only used to displace pus and debris from the wound by flushing it out. This is different from the irrigation of a surface laceration where the goal is to use high pressure to impact wound surfaces to blast off bacteria adherent to the wound surface. Also, the use of low pressure reduces the risk of spreading fluid along weakened tissue planes within the wound.